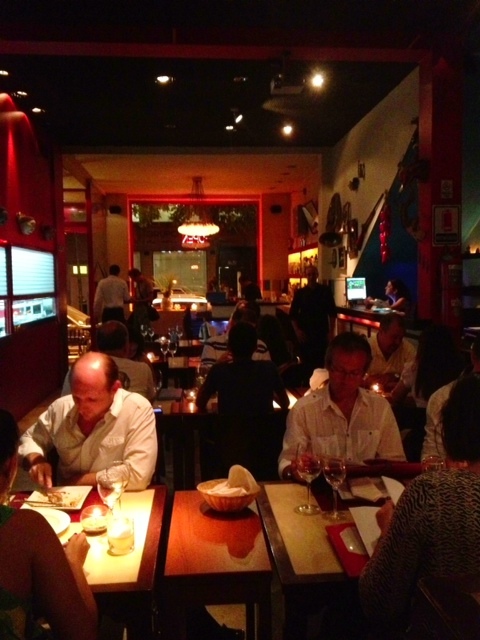 Argentine food tends to be a bit on the heavy side – empanadas, steaks, massive cuts of glorious meat. I love that stuff, don’t get me wrong, but after awhile it can become a bit one note. Plus, given the hot weather, one can only take so much dense food before wanting something a bit lighter. After another fairly hot day, I decided it was time for something not only lighter but also cooler. When I was first exploring Las Canitas, one of the restaurants that caught my attention was a cevicheria conveniently named Ceviche. 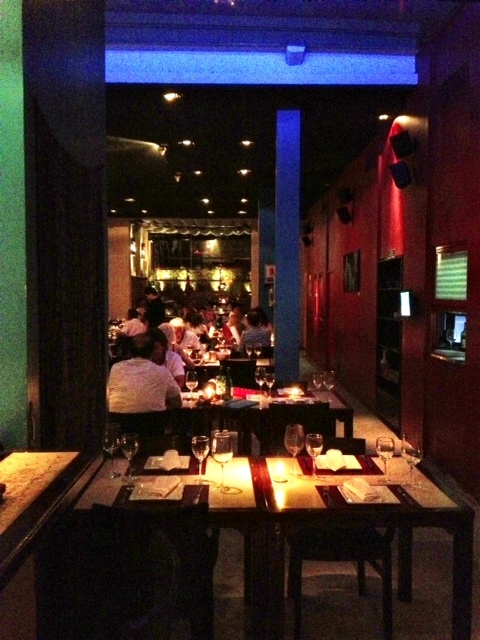 It was a Peruvian/Japanese fusion place, and I made a mental note to check it out at a later date. As it turned out, that was actually the second location, and the first one was even closer to me. There was actually a very pleasant breeze helping cut the heat as I strolled to the restaurant. I was a bit early – 9PM – so the restaurant was fairly empty. The space was pretty massive, with a large front room and an even larger backroom which led to a patio area. 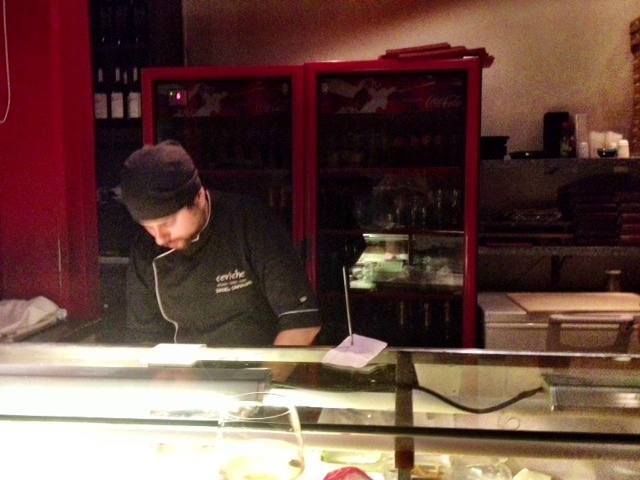 Given that I was alone, I decided to take a spot at the sushi bar, which also served as the ceviche area. The bar contained a pretty impressive array of sushi grade fish, including a massive amount of gorgeous looking salmon. Daniel, the chef in the picture above, explained to me that they source most of their fish from Chile as it’s much better quality than what they can get in Argentina. The menu was pretty extensive but I was immediately drawn to the ceviche section. There were several different options, from traditional to more fusion based dishes. At the bottom of the page was the Ceviche Tasting, which I knew immediately was the way to go. – Palmerian – Chilean salmon chunks with mango and sushi rice. 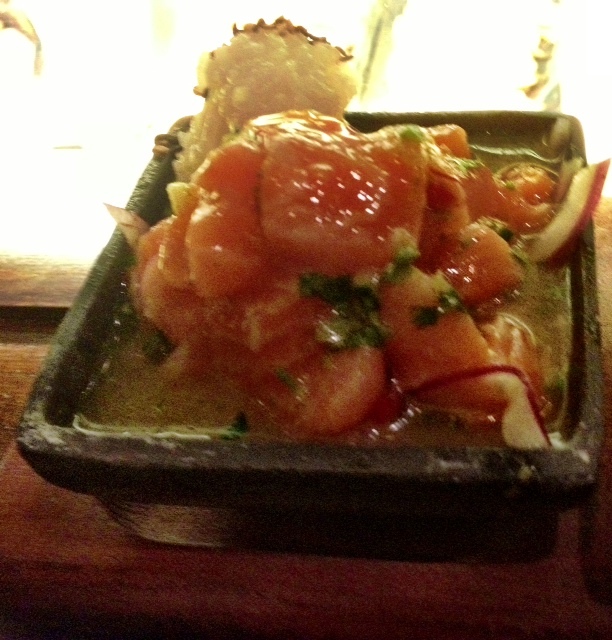 The last one was the real winner as it was sweeter than the more acidic ceviches that came before it. This was the real winner. All and all a fantastic meal and a much needed break from the usual. Posted on January 16, 2013 by reyalto. Bookmark the permalink.